Want to try something fun and new on the water while on vacation? 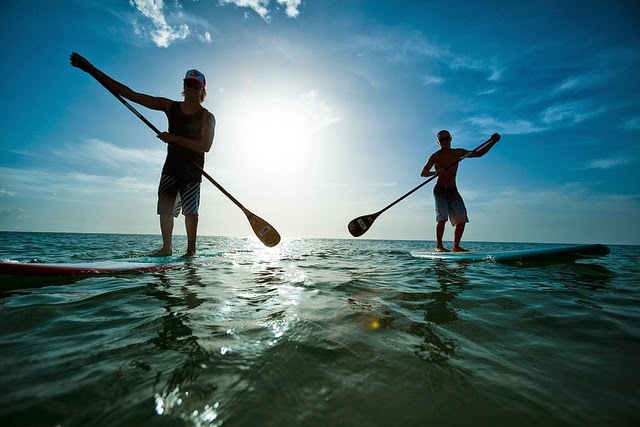 Stand Up Paddle Board (SUP) rental in Gulf Shores, Alabama has never been easier! 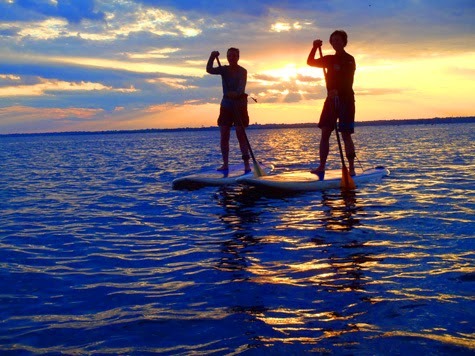 Gulf Shores Boat and Paddlesports Rental provides guests staying in Orange Beach and Gulf Shores the chance to experience stand up paddleboarding without leaving your waterside house or condo. With free delivery, affordable rates, and new top quality equipment, you will have the time of your life riding waves in the Gulf, exploring the smooth waters of the bays and lagoons. You can explore, you can go fishing, and you can simply relax and have fun. 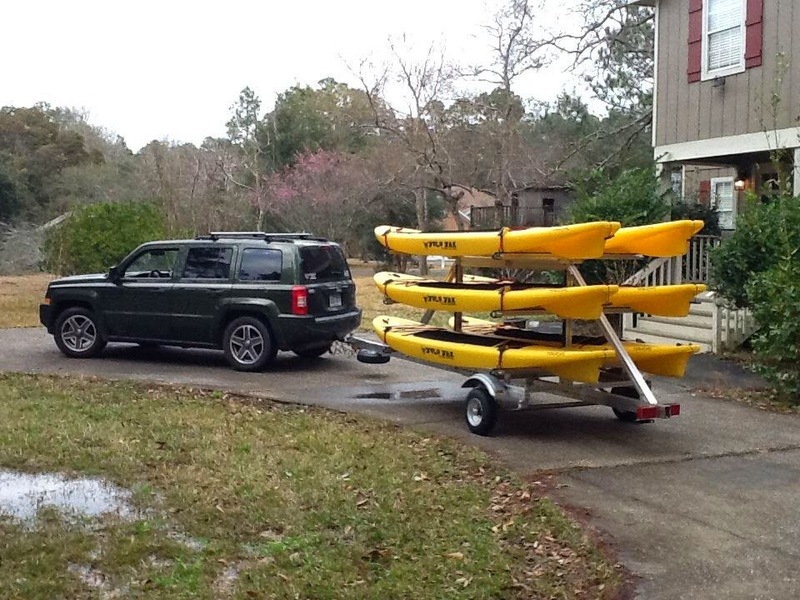 If you want to rent tandem kayaks (2-person or "double kayaks") in Gulf Shores, Orange Beach, Ft. Morgan or Perdido Key, look no further! 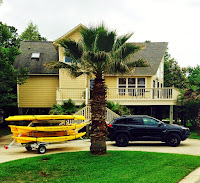 Gulf Shores Boat and Paddlesports Rental will deliver your kayaks to your beach house or condo free*. Our guests enjoy the opportunity to rent a kayak in Gulf Shores, Orange Beach, Perdido Key or Fort Morgan without leaving the comfort of thier beach houses or condos. We offer free delivery*, affordable rates, and new top quality kayaks so you will have the time of your life exploring the smooth waters of our bays and lagoons. You can go kayak fishing or you can just relax and have fun. 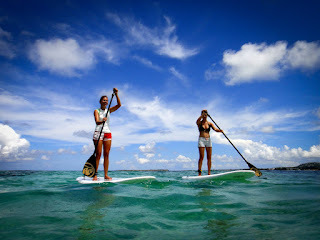 We also provide stand up paddle boards (SUP) for rent. A private "booze cruise," or party cruise, in Gulf Shores or Orange Beach offers 2018 Spring Break visitors* a fun, memorable, and affordable adventure. All cruises come with a friendly, experienced Captain, so you don't have to worry about getting lost, running out of fuel, or damaging the boat when docking. All Spring Breakers need to worry about is enjoying your private cocktail cruise. You can swim, party at Pirate's Cove (a local favorite dive bar), GTs on the Bay (another waterside bar) and Flipper's Marina bar (an fun outdoor bar in a popular marina). You can also bring your own beverages on board as well. Accommodating groups of up to 12, our 26' South Bay offers a comfortable ride and the ability to play your own music. 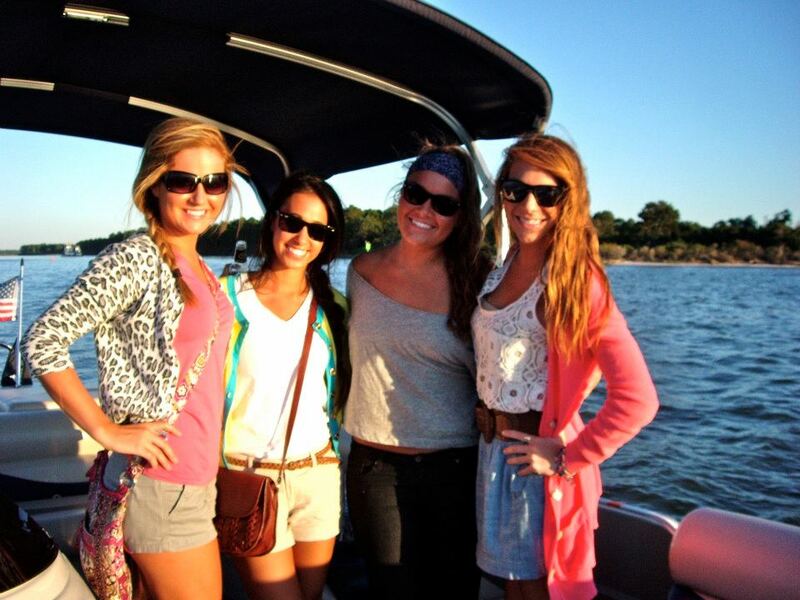 Contact us to reserve your Spring Break cruise today! We also offer: Private dolphin cruises in Gulf Shores; Sunset cruises in Gulf Shores; cocktail cruises in Orange Beach; picnic cruises in Gulf Shores; dinner cruises in Orange Beach; paddle board rental in Gulf Shores;and pontoon boat rentals in Orange Beach. Mother's Day in Gulf Shores is a special time. Give Mom a memory that will last a lifetime by taking her on a private family Mother's Day sunset cruise. 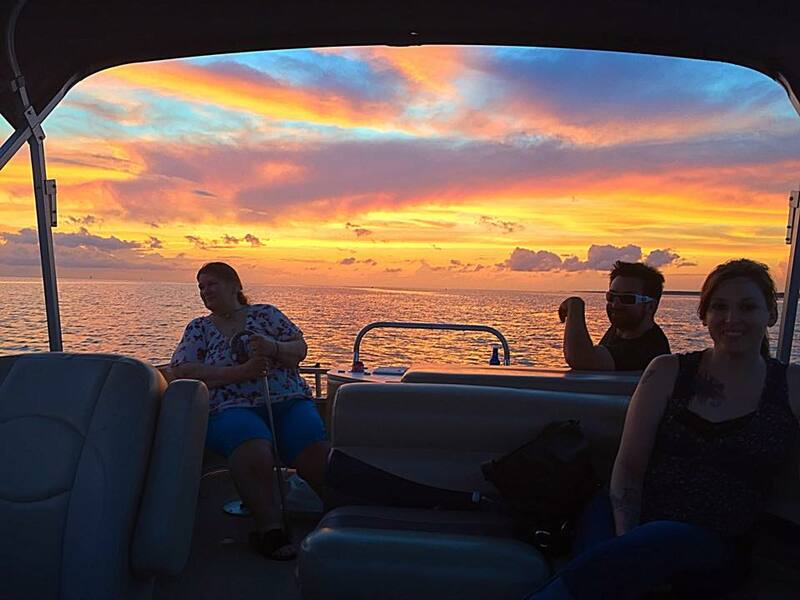 Departing from LuLu's Homeport Marina most evenings of the 2017 season, our popular private sunset cruise gives guests the opportunity to relax, enjoy the scenery, watch dolphins up close and take in a gorgeous Alabama Gulf Coast sunset. We will take family pictures for you, too. Availability is limited Mother's Day weekend, so make your reservation TODAY! Gulf Shores Spring Break 2017 is your time to kick back and relax. Enjoy a private party cruise (cocktail cruise) with a friendly and experienced Captain so you can have fun without the worry. You'll enjoy hours of fun visiting some of the coolest bars and hot spots in the area by boat, including Pirate's Cove, Flippers at Bear Point and more. You and up to 11 of your friends can relax, listen to your own music and enjoy the cruise on our 26' South Bay pontoon boat without worrying about driving, getting lost, running out of fuel or damaging a rental boat while docking. Reserve your Spring Break 2017 booze cruise today, and make this Spring Break something to remember. Contact us now! We also offer: Sunset cruises; sailboat cruises; private dolphin cruises; cocktail cruises; dinner cruises; kayak rentals; standup paddleboard (SUP) rentals and pontoon boat rentals in Orange Beach. Looking for ideas about what to do in Gulf Shores? Don't miss the opportunity to enjoy a private sunset cruise with family. Gulf Shores Boat Rental conducts private sunset cruises, dolphin cruises, and other types of cruises daily throughout the summer. Contact us today to discuss your dates and to make a reservation! We also offer: Sunset cruises in Gulf Shores; cocktail cruises in Orange Beach; picnic cruises in Gulf Shores; dinner cruises in Orange Beach; Stand up Paddle Board rentals; Kayak Rentals, and pontoon boat rentals in Orange Beach. Why go on a crowded sunset cruise with a bunch of strangers when you can relax with your family or friends on our private cruise? 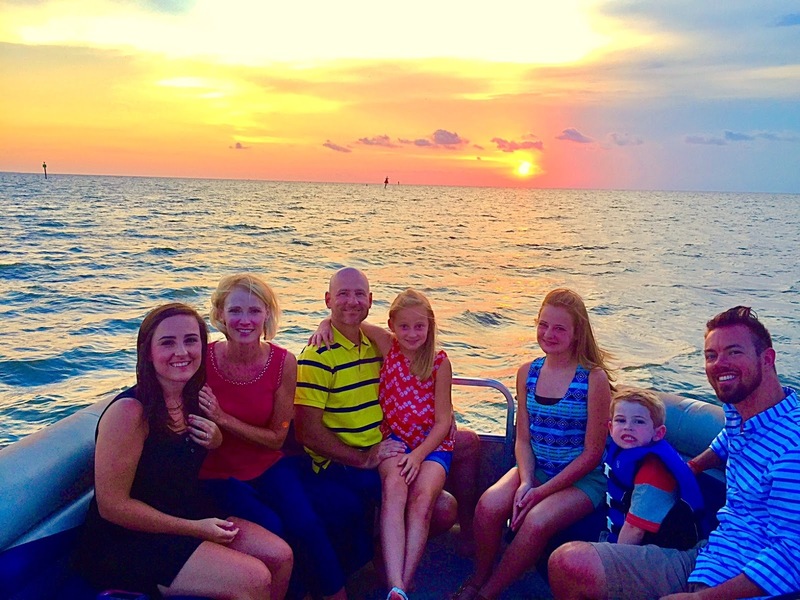 This picture was taken this week with the Dill family from St. Louis, who got to see this awesome sunset and dolphins, too! New! 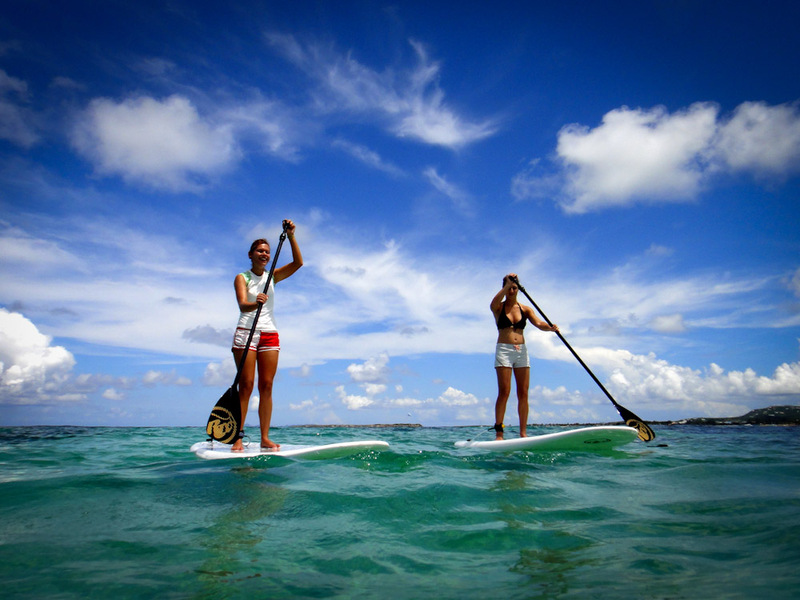 Half-Day Hourly Paddleboard and Kayak Rentals - Free Delivery! We are pleased to provide half-day stand-up paddleboard and kayak rentals for just $50, including free delivery and pick-up to most areas! Half-day rentals are ideal for guests staying in condo towers that do not have a convenient place to store boards overnight. You can now experience paddle boarding or kayaking for 4 full hours - and we'll come to pick up the gear when you're done. Easy! Gulf Shores Spring Break 2016 is your time to relax and have fun. A private party cruise (cocktail cruise) with a friendly, experienced Captain is the way to go. You'll enjoy hours of fun on the water and visit some of the area's greatest hangouts without having to worry about getting lost, running out of fuel, DUI or damaging the boat while docking. Your group of up to 12 can kick back, listen to your own music and enjoy the ride on our 26' South Bay pontoon boat, complete with restroom on board. Reserve your Spring Break 2016 booze cruise today, and make this year something to remember. Contact us now! 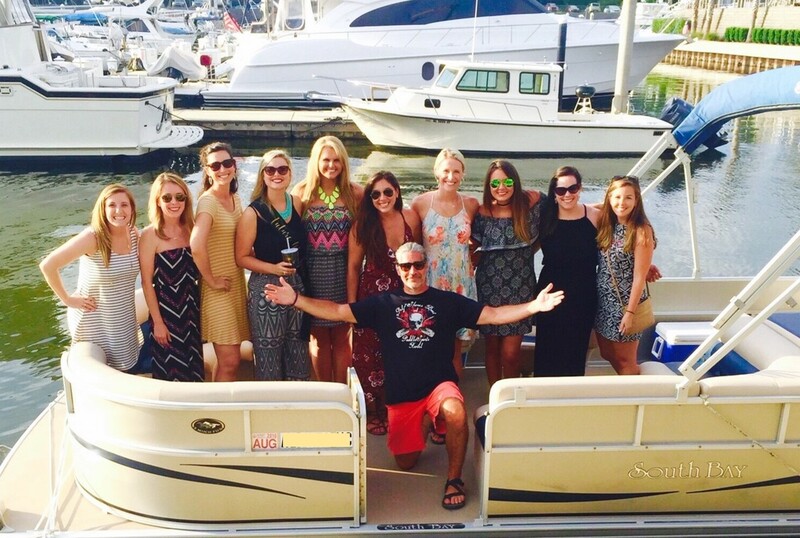 We also offer: Sunset cruises in Gulf Shores; cocktail cruises in Orange Beach; dinner cruises in Orange Beach; kayak rentals; standup paddleboard (SUP) rentals and pontoon boat rentals in Orange Beach. 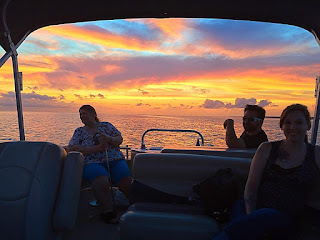 We enjoyed a wonderful sunset cruise last night with a gorgeous sky, seagulls calling, and plenty of dolphins. Enjoy our video and contact us today to reserve your private sunset cruise. Want to enjoy a day on the water while on vacation? 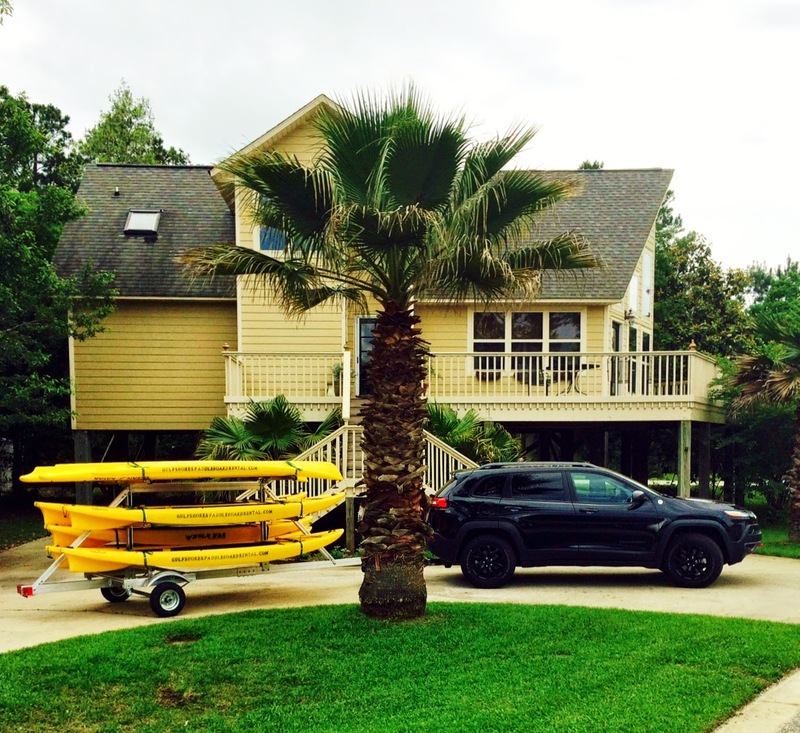 Boat rental in Gulf Shores, Alabama has never been easier! Gulf Shores Boat Rental provides guests staying in Orange Beach and Gulf Shores the opportunity to experience a private adventure led by an experienced captain. You won't have to worry about running out of gas, getting lost, or damaging the boat while docking. Enjoy a sunset cruise, a dinner cruise, a night time party cruise, or go wakeboarding and tubing. Gulf Shores Boat Rental: The YOLO SUPs are Coming! We are excited to announce that we just ordered a fleet of brand new YAK stand up paddle boards (SUPs) made by YOLO. These boards are designed for the best all around paddle boarding experience - ideal for flat water, mild surf, and fishing!